Join the 4th U.S. Cavalry in the 1870's. Fire cannons, gatling guns, and carbines! Fight in frontier battle reenactments. Living History Adventure for youth age 14 & older. You are invited! . . .
Join the 4th U.S. Cavalry of the 1870's for battle reenactments, artillery schools, demos at Philmont, and much more. Crew 1872 is the Longhorn Council's US Cavalry "living history" crew, staffing the frontier battles at our High Adventure Base, our US Cavalry Winter Camp, and attending battle reenactments throughout the year. If you are interested in firing artillery, serving on a Gatling Gun crew, and going to exciting living history battle reenactments, and you are 14 or older, or have completed the 8th grade, then stop by our Guns of the Frontier display at the Longhorn Council office on Saturday, October 3rd, 2015, at 1 PM. Or send us an email to livinghistory@longhorn.org. For more information contact Brian Glass, Crew Advisor, at brian.glass@gmx.com. River Legacy Living Science Center is planning After Dark in the Park, an annual fund raising event, that attracts families with children ages 2 to 12. It is an outside carnival with bounce houses, cake walks, crafts, face painting, etc. I am Captain of the Camping Area. This year I am planning to teach simple knot tying, tell ghost stories, play games and have sign-a-longs. If you would be interested in helping with any of those things or if you have a badge you are working toward that is associated with outdoor activities or camping, call me and let's see if we can work it in. After Dark in the Park runs Oct. 9,10, 11 from 4 to 10pm each night. It is tons of fun. Volunteers work 3 hour shifts any OR all nights. When do Boy Scouts start using patrols and what is the ideal size? "The patrol system is not one method in which Scouting for boys can be carried on. It is the only method." There are three kinds of patrols: new-Scout patrols, regular patrols, and Venture patrols. Regular patrols are made up of Scouts who have completed their First Class requirements. 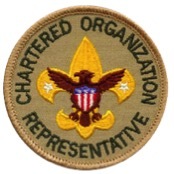 They have been around Scouting long enough to be comfortable with the patrol and troop operation and are well-versed in camping, cooking, and Scouting's other basic skills. A Venture patrol is an optional patrol within the troop made up of Scouts age 13 and older. These troop members have the maturity and experience to take part in more challenging high-adventure outings. The Venture patrol elects a patrol leader, who works with an assistant Scoutmaster to put the patrol's plans into action. The seventh annual Ecofest Arlington will take over the streets of Downtown Arlington on Saturday, September 19, from 10 a.m. – 10 p.m. This free, family-oriented event will take place at Founders Plaza, 100 W. Abram Street. Ecofest Arlington helps build a sense of community, stimulates environmental awareness and promotes stewardship across North Texas. "Last year, Arlington set a new record for Ecofest attendees," Urban Forestry Land Manager Heather Dowell said. "This event is one of a kind and its popularity reflects that. Ecofest gets bigger and better every year and we know it makes a difference in our community." 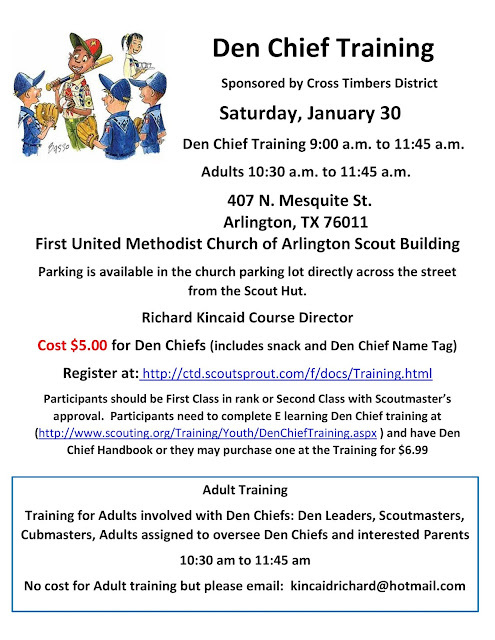 The Arlington Parks and Recreation Department has partnered with Republic Services, and other local sponsors, to provide a wide range of activities starting at 10am. More than forty vendors will spotlight their green products and services. Classes and demonstrations on environmental awareness will take place throughout the day. Children's activities will be part of the event as well with games, crafts and educational presentations. Food and refreshments will also be available for purchase during the event. FOR MORE INFORMATION ABOUT ECOFEST ARLINGTON INCLUDING A COMPLETE LIST OF CLASSES, ENTERTAINMENT AND VENDORS VISITECOFESTARLINGTON.COM OR CALL 817-459-5474.
involved with Pack camping should attend. 7:00 p.m. to 9:15 p.m. Pack, Troop, Team, Crew Organization Personnel, all LDS Bishopric members, Charter Organization Representatives. 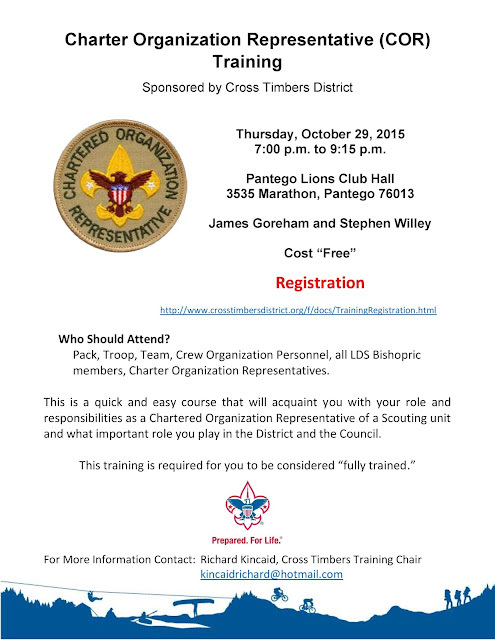 This is a quick and easy course that will acquaint you with your role and responsibilities as a Chartered Organization Representative of a Scouting unit and what important role you play in the District and the Council. What is going on with the Crosstimbers website and communications?? If you have not looked lately we have a new website.. It is consolidation of all of our resources and communication.. The blog is still the heart of our communication system. When something is posted to the google blog, it is sent out the following day to our email list as a summary email. It is also posted to our Facebook page. let me state that again "WHEN YOU POST TO THE BLOG... IT UPDATES THE WEBSITE, FACEBOOK, AND SEND AN EMAIL" all with one post. You can find all the latest information from the blog under news at crosstimbersdistrict.org. if you need to get information out one in a while, please send it to the webmaster@crosstimbersdistrict.org. If you post information allot, please ask to be added to the blog as an author. If you are responsible for an activity or area that needs a page on the website, please let us know. Please sign up on the new website at www.crosstimbersdistrict.org..
We would really like to here about your fundraisers, eagle projects, trainings, and other events around scouting. I look forward to hearing what your thoughts..
Why you should try camping in a hammock! For those that know me I have been a hanger for years.. the link above is a great read if you have considered hanging one for your next adventure! Is anyone interested in a free 26 foot sailboat.. mast broke in storm needs fiberglass work on bow.. Free with title.. must pick up at lake grapevine by Friday.. You will need a trailer for a fixed keep vessel..
Might be a good boat for a Seascout project.. Let me know and I will get you the contact info.. This is just something I ran across, I don't know a lot of details. Check out these 5 can't-miss stories for September 9, 2015, and then share your favorites with your Scouting team! 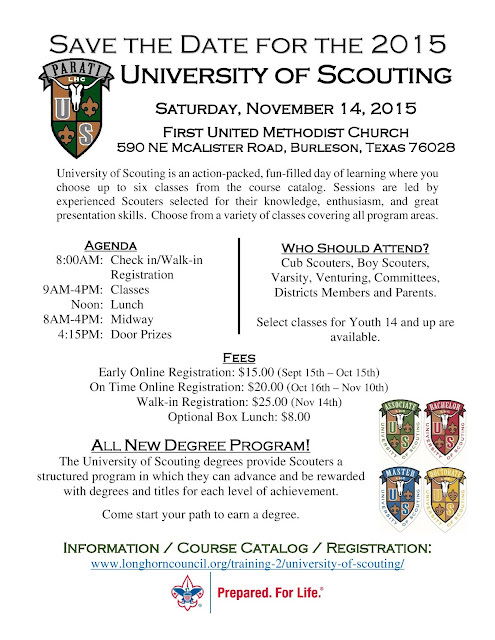 Learn More About Scoutbook in One Hour! 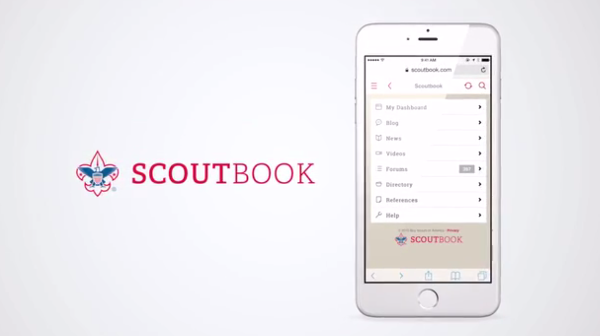 Are you getting questions about what Scoutbook can offer parents, Scouts, and volunteers? Here's a chance to help your team understand what you gain with this revolutionary Scouting web application. Back to school season is in full swing this fall and we aren't just talking about for Scouts! 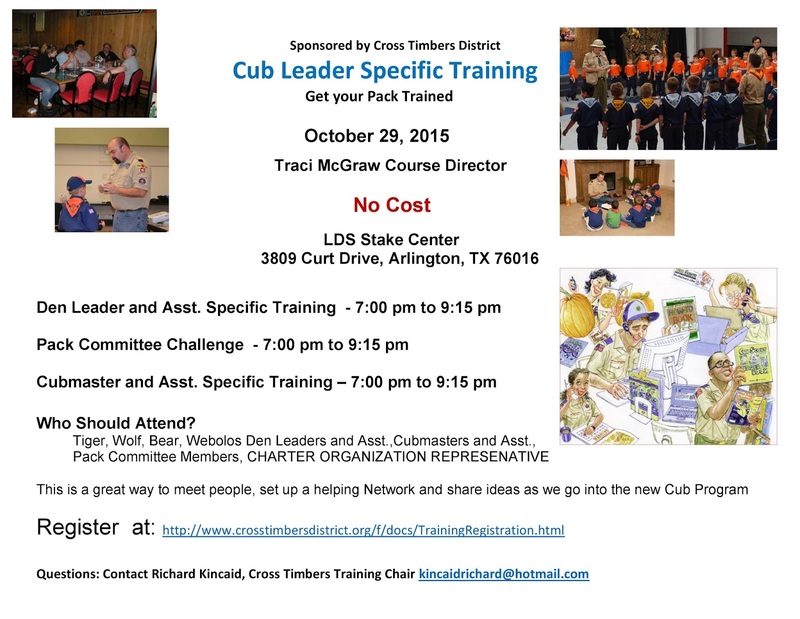 Volunteers and Scouters are prepping for a unique learning experience via the new online "BSA Learn Center" and Cub Scout leadership training is now in session! 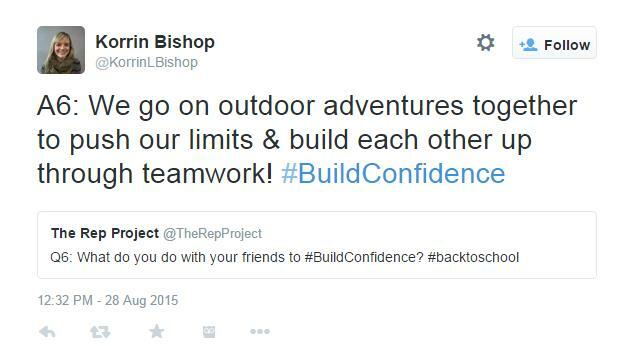 Building confidence in youth is no small feat. As an organization that works to empower young people, we at the BSA know this as well as anyone. 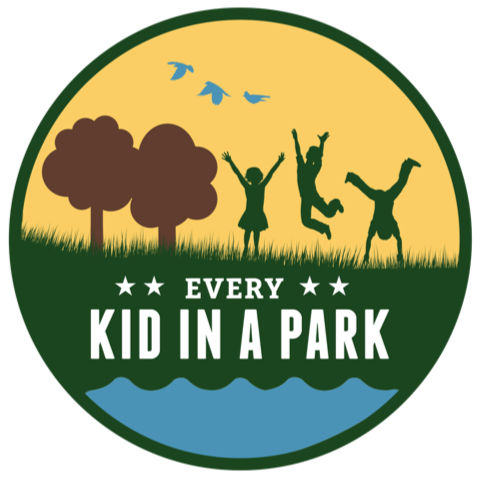 Fourth Grade Scouts Can Visit Parks for Free! 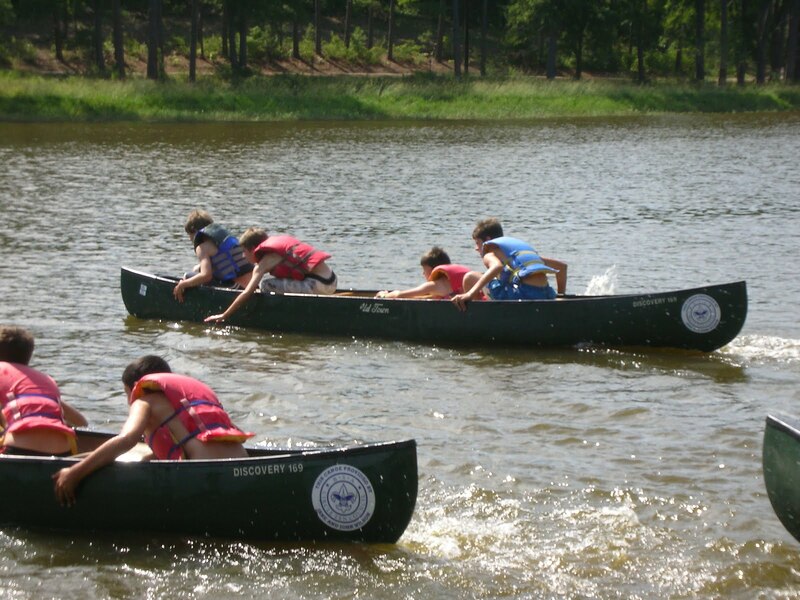 For more than a century the BSA has used the great outdoors as a classroom to teach character development, citizenship training, and personal fitness. And now families with Scouts in the fourth grade have a great opportunity to explore federally managed lands and waters for free. Women have a tremendous history in the Boy Scouts of America. Whether leading from the front or supporting the movement in less visible roles, the organization would not exist as we know it without the steadfast dedication of countless exceptional women. 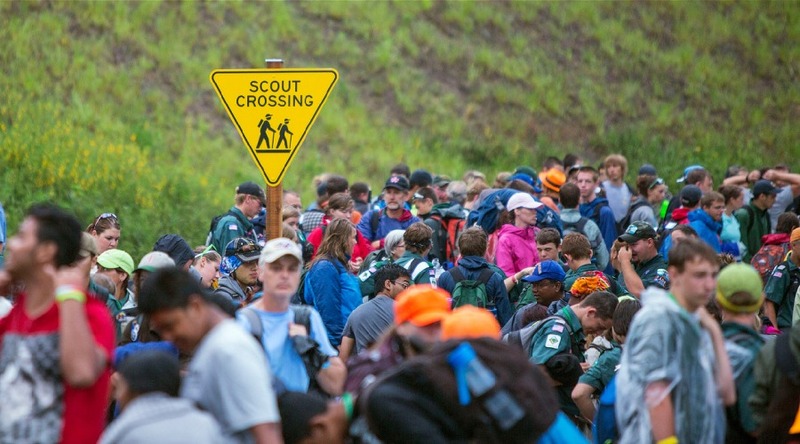 Plenty of volunteers are first time Scout leaders so asking for help from seasoned professionals, volunteers, and community members should be no big deal, right? For many new leaders, it's not that simple. But the tips in this month's Cubcast can make your new role a whole lot easier. Check it out here. Copyright © 2015 Boy Scouts of America, All rights reserved. I am looking for some Boy Scout involvement in After Dark in the Park for the River Legacy Living Science Center. This is an annual fund raising even for the science center. It runs from Friday, Oct. 9 through Sunday, Oct. 11th from 4 to 10pm all three nights. The event attracts families with young children to pre-teens and grand parents. The Camping Area is one that can be entertaining for all those ages. The Camping Area is going to be great this year. We are going to have sing-a-longs, lessons in knot tying, ghost stories and a some games. I need volunteers in two to three hour shifts. If anyone can teach knot tying that would be wonderful. We will provide the rope. I have some funny ghost stories chosen so if there is a good story teller, I need him. We have a simple version of Werewolf that will be fun for children aged six or seven and up though adult. Friday night my son is going to lead it, but I need a dramatic volunteer for Saturday and Sunday nights. Does anyone have a badge they are working toward? We will try to work it in. I need to know ahead of time who is coming and when. Planning makes the machine run smoother! I think it is tons of fun. I am sure anyone who volunteers will have fun too. Boy Scouts are welcome to come in uniform, bring fliers or a sign and to contact Kristi Payne, Marketing Coordinator for the Rivery Legacy Living Science Center to see about putting some cross promotion on the RL and Scouts web sites. If you have any questions, please call me. My home number with an answering machine is 817-860-6905, cell 682-203-0532. Thanks in advance for anything you can do. Check In from 8:00am – 9:00am in Parish Hall. Player orientation and first round immediately after check-in. All Scouts will play all 5 rounds. Players should wear their field uniform (the tan one). Trophies for the top 5 individuals and plaque for top troop. Can help meet requirements 6a or 6b for Chess Merit Badge. Expect to finish by mid- to late-afternoon (depends on entries). Open to Boy Scouts in the Crosstimbers district. Players should know the rules of chess play. Any skill level is welcome. Not a rated chess event. $10 entry fee if received by October 1; otherwise $20. 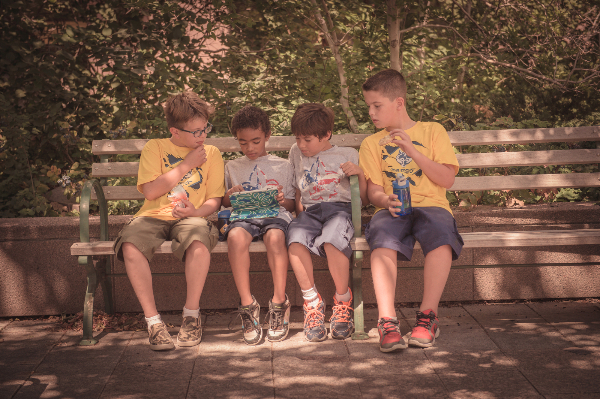 Scouts should bring a lunch or money to purchase lunch. Troop 545 will be selling pizza by the slice and other concessions. Notation sheets available if working on the Chess Merit Badge. Receive $10 entry fee and a slice of pizza at event. This tournament is open to all skill levels. For more information on the rules and determination of prizes, Read the details. What might be coming on the horizon for the Crosstimbers District? Check out these 5 can't-miss stories for September 2, 2015, and then share your favorites with your Scouting team! 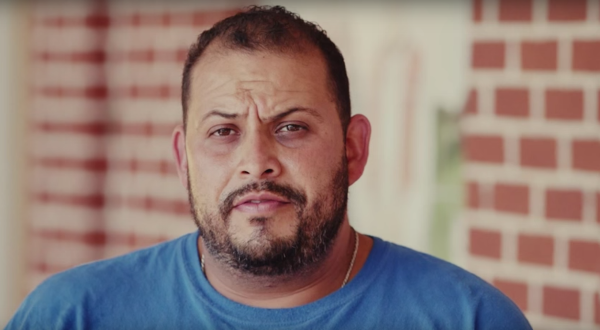 As part of our "Families Like Mine" video series, this new video features Juan, a Scout dad, who grew up in Mexico and came to the U.S. when he was 19 years old. 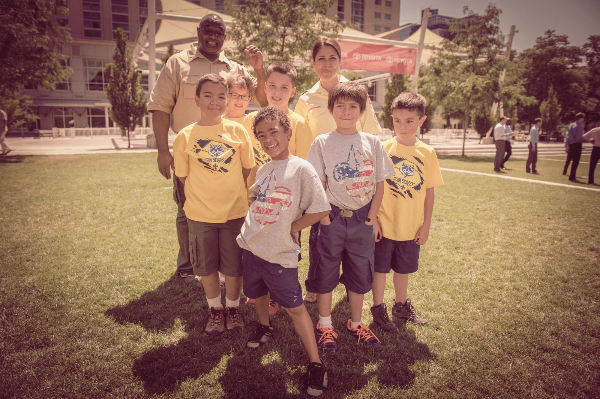 From the life-saving Scout stories you hear in the news to the firsthand Scouting testimonials parents share about their kids, we all believe that Scouting builds leaders and shapes character in its members. From the Chief: Let's Get Down to Business, Shall We? Technically the BSA isn't in the business of anything. We don't manufacture goods. We don't sell products or services. Rather, we're a mission-driven, non-profit organization focused on serving America's youth by inspiring great leaders. 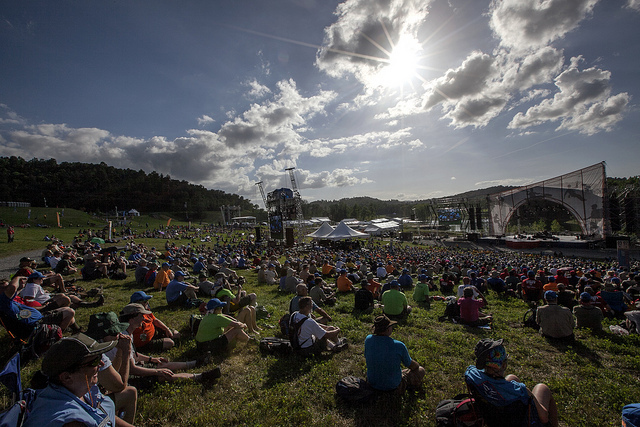 With the completion of the 100th anniversary of NOAC, the 2015 World Scout Jamboree and The Summit Bechtel Reserve's second summer season, a very exciting summer is one for the history books. 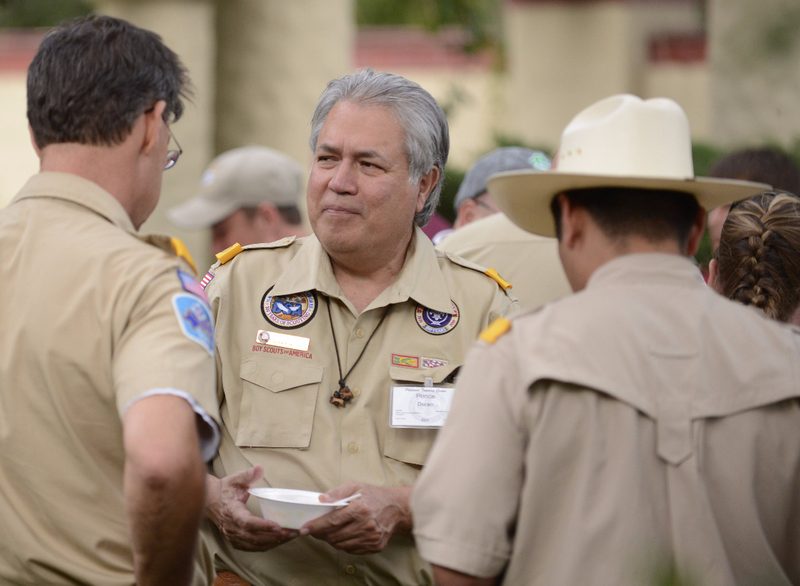 This week on Scouting Newsroom we announced the BSA's appointment of Ponce Duran as our first Chief Diversity Officer. Learn more about him here. Need logos? 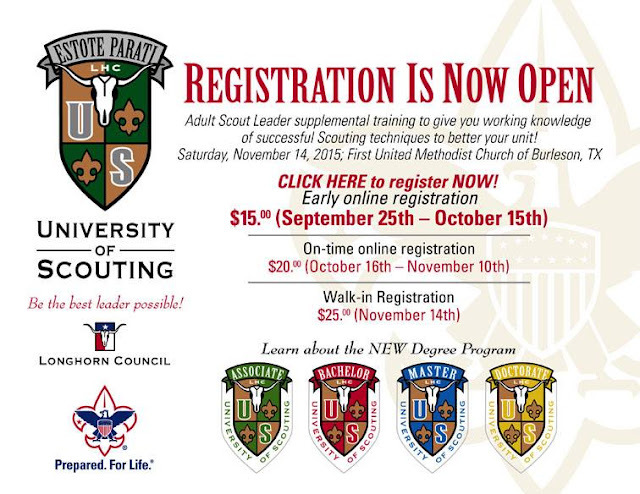 No problem - the BSA Brand Center on Scouting Wire has the logo you're looking for. Check them out and put them to use by heading to our Scouting Logos page.